Muxlab 500830 är en testsignalsgenerator för HDMI 2.0 och SD/HD/3G-SDI som kan generera en upplösning upp till [email protected] Hz (4:4:4 Chroma subsampling). 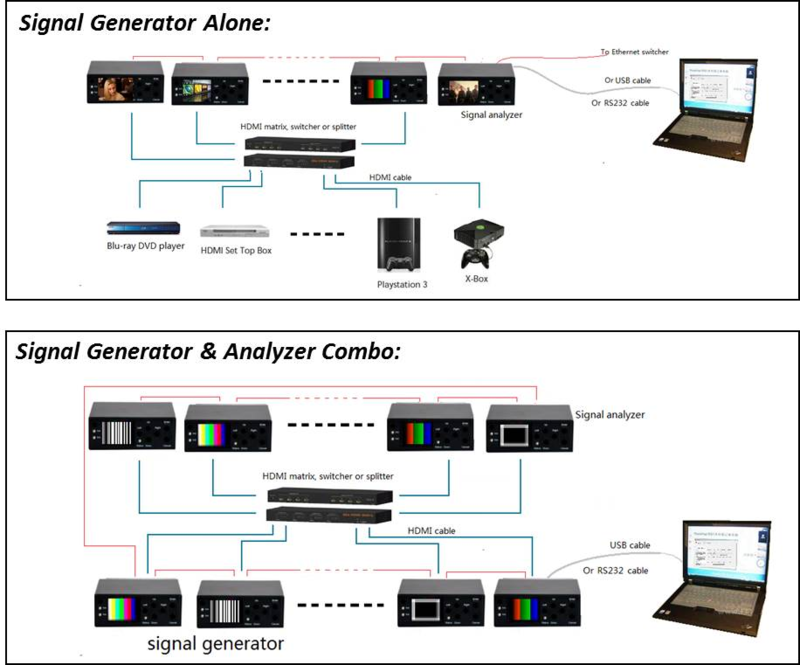 This Signal Generator is a portable test tool that is able to generate SD/HD/3G SDI and HDMI 2.0 test patterns in a full range of resolutions up to [email protected] 60Hz (4:4:4). The unit assists users in validating the capabilities and proper operation of their sink devices. The user may select from various test pattern, resolutions, refresh rates, color spaces and other related parameters. When used with the 500831 Signal Analyzer, a useful set of cable connectivity/quality tests, and device compatibility tests can be performed to help identify problems. The device is an exceptional tool at an attractive price for any AV engineer/developer, Integrator and installer. The Signal Generator is a portable device which can be used anytime you need it and anywhere, making it an invaluable tool. The unit supports an internal rechargeable Lithium-ion battery, allowing the device to be operated autonomously for up to 5 hours per change. Portable Signal Generator – for autonomous operation anytime and anywhere!